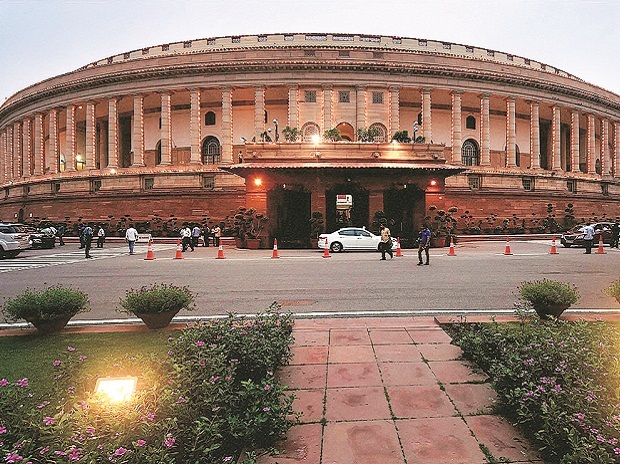 The Interim Budget 2019-20 that was passed by the Loksabha recently took several steps to ease the lives of the average citizen, especially the middle class. As the steps announced in the Budget represent a culmination of measures that have been taken over the last five years, let us understand how the life of a common middle-class citizen has been eased during this time. In particular, the significant drop in inflation and reduction in effective tax rates due to GST has put greater purchasing power in the hands of the savers and the consumers. Inflation represents the most pernicious tax on the common citizen. While inflation was 10.1% in 2013-14, the inflation in December 2018 had come down significantly to 2.2%. To understand the real effect of inflation, we must remember that inflation affects an average citizen's ability to buy food, clothes, and other necessities from a rupee of his earnings. If a kilogram of rice costs Rs 50 in 2014, and if inflation had continued in double digits over the past five years, that same kilogram of rice would cost Rs 80 today. Instead, with the rate of inflation averaging 4.5% over this five-year period, that kilogram of rice costs Rs 62.5 today. So, a family that has Rs 5,000 to spend per month can buy 80 kilogram of rice today, whereas it would have been able to buy only 62.5 kilograms of rice had inflation continued at the 2014 levels. Thus, lower inflation has increased the family's purchasing power by about 28%. Cumulatively, across the several goods that an average family consumes, this increased purchasing power adds enormously to a household's well-being because it represents a significant proportion of its budget. Second, inflation affects the real rates of savings. When inflation was in the double digits till 2014, a saver earned minus 2% per annum. In other words, by investing her hard-earned savings in a fixed deposit, an average citizen was reducing her purchasing power. In contrast, as the average rate of inflation has been about 4% over the last four years, the real rates of savings have approximated to about 3% - an increase of 5% in real terms. Thus, had inflation continued at 2014 levels, savers would have had about 25% lower purchasing power from their savings than they do now. As senior citizens especially rely on the interest they earn on fixed deposits they create from their retirement benefits, the increase in the purchasing power of savings benefits these pensioners the most. Lower inflation has manifested because of an important structural change - implementation of the monetary policy framework, which legislatively mandated the Reserve Bank of India to target inflation between 2-6%. The breakthrough achieved in lowering inflation is important as low inflation represents the first, yet vital, step to lowering the borrowing costs for our individuals and firms. The middle class has already seen the benefits of low inflation accruing to them through lower interest rates on home and car loans, as well as credit card payments. Every country that has achieved high levels of economic growth has accomplished the same when low borrowing costs foster investments by feeding the animal spirits in the economy. The effective tax rates – both direct and indirect – that the middle class pays and the significant improvement in the ease of filing tax returns and receiving refunds represents another key source of benefit to the middle class. Consider the impact of GST. An analysis of household expenditure before and after the implementation of GST shows that tax rates have come down on close to a hundred items including food and beverages, hair oil, toothpaste, soap, washing powder and footwear,among other things. If we consider a household spending Rs 8,400 on these items monthly, the tax paid under GST is lower by Rs 320 as taxes levied on taxes have been eliminated. Consumers often pay attention only to the GST rate printed on a product and assume that the effective tax rate has increased. However, GST is only paid on the value added. Therefore, consumers must pay attention to the actual rupees of taxes paid under GST, rather than the GST rate alone. Apart from the reduction in the effective tax rate, the ease of filing taxes has been simplified significantly so that most middle-class citizens file their taxes online and receive refunds quickly. In fact, as the FM announced in his budget speech, 99.54% of all returns have not required any human intervention. As the 0.46% of returns that have received human intervention are unlikely to include the honest middle-class tax payer, tax compliance has become very easy for the common citizen. These changes have, in fact, set the stage for the next level of easing where the return will be evaluated, and a refund processed, within 24 hours as the FM announced in his Budget speech. Overall, the plethora of benefits announced in the Budget for the middle-class has served as the crowning glory of a structure that has been built over five years. The writer is the Chief Economic Advisor, Government of India.